When we go to work our activity, our labour, is used to create a service or product that our employers make money from. In return we are given a wage. The amount of money in our wage is unrelated to the usefulness of our job or the amount of money we make for the employer. Instead we get paid just enough to keep us in the job and no more. The money employers have left over after the wages and bills have been paid is known as profit. Business owners control the profits and decide what happens to them – they have the power to pocket the money or to reinvest some or all into expanding their business interests so that greater levels of profit can be gathered in the future. Higher profits do not lead to higher wages or better conditions for workers. In fact more profits are made when we are paid less, when we work more hours, or when we are forced to do more tasks in the time we are working. Developments in technology, rather than being put to use making our lives easier, are put to use making more profit. This happens either by removing the need for workers or by using the new inventions as a way to get more work out of us. 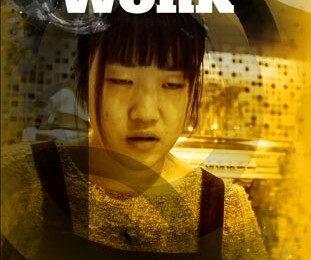 Tasks that are useful to society do not take place within the system of wage labour because they are necessary; they take place because their outcomes can be sold and profits made. What use they have, if any, is just a hook to make them sell. Because the goal in a capitalist economy is making profit rather than fulfilling needs we find that even jobs which have a useful function are undertaken in ways that are inefficient or ineffective. For example, jobs are duplicated throughout different companies due to unnecessary competition. Companies make choices that contribute to environmental destruction and lead to the poor health of us as workers. Items get transported from one part of the globe to another, clocking up months of travel time, as certain processes are cheaper to undertake in different places. Products that should be able to last a lifetime get made to poor quality so that they generate more immediate profits or so that in the future they break and need replaced. We waste our lives doing work that only makes sense if you are trying to keep capitalism running but doesn’t make sense otherwise. Even when the main task that our job seems to be about is something useful or enjoyable, we can see the ways that the drive for profit gets in the way.